Mahagun Mascot presents furnished serviced apartments with high-end constructions. Mahagun Mascot luxury residential township developed by the Mahagun India Builders at Crossing Republik offers a great property to buy a flat in Ghaziabad. The township features great facilities as well as luxuries that are well integrated with all these residences to provide a super satisfying living experience. The joy of living at the Mascot residences starts with its lush green open spaces and gorgeous surroundings and is extended to its influential ambience. The project is built over a sprawling area and offers eco-friendly complex with GOLD certification from the IGBC. 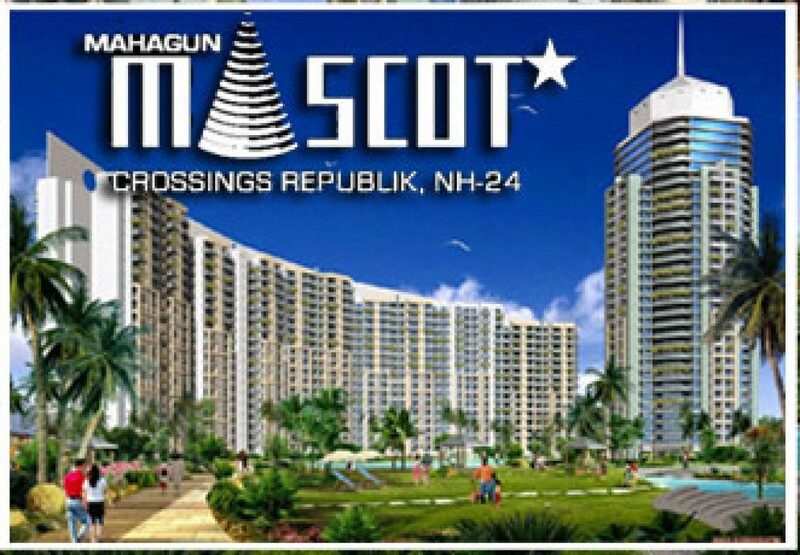 Mahagun Mascot presents furnished serviced apartments having high-end constructions and specifications that include hardwood framed high-quality doors and windows with glass shutters, designer ceilings with POP finish, ceramic tile floorings, modular kitchens with granite top, and white sanitary ware, etc. The Mascot furnished serviced apartments have green technologies and features like insulated roofs, solar water heaters, low VOC paints and low flow fixtures for water conservation. There are also provisions for rain water harvesting and treatment of grey water for reuse. The gated township has good security measures that include round the clock manual and electronic surveillance. The architectures are contemporary and the layouts are well planned with vaastu compliance. Also the elected committee of the Mahagun Mascot RWA provides assurance for the proper functioning of the society as it looks after the grievances of the residents and solves issues related to the society with great efficiency. The members of the Mahagun Mascot RWA are elected from the residents of the society and all the dwellers have full rights to report any malfunctioning through the various platforms provided by the RWA. To name a few of the facilities being presented at the Mahagun Mascot Township are reserved parking spaces, piped gas, regular power and water supply, VRV conditioning and the list continues. In terms of recreational facilities the complex has a modern well equipped gymnasium, clubhouse, swimming pool, jogging and cycling trails and a yoga pavilion as well. With flexible payment plans Mascot apartments are the best residing option.